A diaper cake from Down Under! 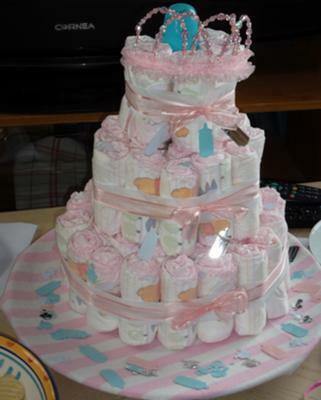 One of our ace reader's in Australia submitted her cute diaper cake for the rest of us to enjoy. Thanks Jemma...I'll bet your sister loved it! Check out out our diaper cake gallery to see more of our readers' delightful cakes! My friend and I made this for my sisters baby shower, she's due to have a baby on Christmas Day. Thanks so much for the idea, i would never have thought to make this for the baby shower and it turned out great!